This weekend I am heading to Auckland, and will be mixing business and pleasure. On Friday I will be visiting shops who might be interested in stocking my candles, so if you know of any great little shops in your area that might be a good fit, do let me know. 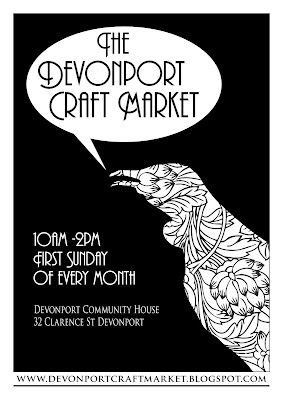 On Sunday I will be at the Devonport Craft Market which I am very much looking forward to. If you live in Auckland, and have been admiring my products online, this will be the perfect opportunity to come and see them for real. It also means you can smell all the gorgeous different scents I have to offer, which is something you can't do online! I am also looking forward to meeting the other stallholders, and admiring their wares as well. 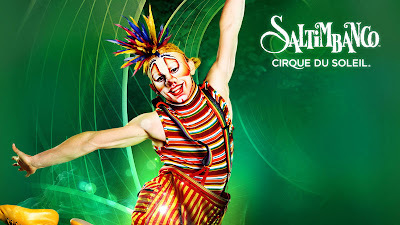 I will also be going to see Saltimbanco while I'm up. I have always wanted to see a Circ de Soleil performance, so I was careful to time my trip up with this years event. I'm very much looking forward to it! If you come along to the Devonport Craft Market, do come and say hi! If you make a purchase of $20 or more, and mention you read my blog, I will give you a free tealight candle of your choice. Also don't forget to bring along your old candles to be recycled for a 10% discount off your purchase. Bring along an empty Rose in Thorns candle tin for a 20% discount.